Kenny Kunene will be put on the spot by English stand-up comic, TV presenter, author and comedy hero Jimmy Carr when it's time for his roast. Comedy Central and Nando’s have revealed stand-up comic, TV presenter, author and comedy hero Jimmy Carr is to be the official Roastmaster for The Comedy Central Roast of Kenny Kunene Fired up by Nando’s. 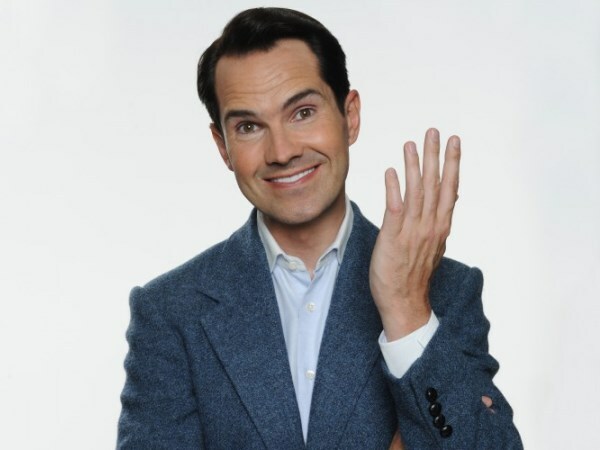 The funnyman has toured South Africa previously in 2011 and his recent, sold-out stand-up tour, Comedy Central Presents Jimmy Carr: Gagging Order is scheduled to begin in South Africa on 29 March. Jimmy has so far performed his stand-up tour shows to over 1,5 million people in the UK. While roastee Kenny Kunene is thrilled at the announcement of international talent hosting the show, he says has no idea who Jimmy Carr is. You'll learn soon enough, Mr Sushi! A limited number of tickets for “The Comedy Central Roast of Kenny Kunene Fired up by Nando’s” go on sale at Computicket and the Lyric Theatre Box Office from 21 February priced R 700. The show premieres on Comedy Central (DStv Channel 122) across sub-Saharan Africa on Monday 28 April at 21:00.